Click here for a program summary. The Wyoming Rehabilitation and Acquisition Program (WRAP) is funded federally under the Housing and Economic Recovery Act of 2008, more commonly known as the Neighborhood Stabilization Program (NSP) and under Title II (the Home Investment Partnerships Act) of the National Affordable Housing Act of 1990, more commonly known as the HOME Program. The NSP program and the HOME Program are subject to the same federal requirements related to fair housing, nondiscrimination, labor standards, and the environment (including lead-based paint). The national objective of the NSP funds is to address the problem of abandoned and foreclosed homes. The purpose of the WRAP program is to purchase qualified properties, rehabilitate the properties, and then sell the properties to qualified, income eligible households. The WRAP program will utilize existing housing stock which will be brought up to pre-defined housing quality standards. Housing that is determined to be unsafe and blighted and exceeds cost reasonableness to bring the property up to habitable standards may be demolished and a new housing unit constructed in its place. Properties may not be available in all counties at any one time. The availability of WRAP participating properties and their specific locations will be posted on the WCDA website at WRAP Properties for Sale. As a general rule, households must be at or below 80% AMI to qualify for the program. Occasionally specific properties will be made available to households up to 120% AMI. Contact WCDA for a list of the specific properties. There are no households at or below 50% of AMI interested in the specific property. The households at or below 50% of AMI who are interested in the specific property cannot meet minimum underwriting standards. The property is considered accessible and then households up to 80% of AMI needing the accessibility features will be given a priority. The applicant must be a Wyoming resident. All adult household members must be United States citizens or resident aliens. The property must be the applicant’s primary residence for the term of the loan. The applicant must pay a $20.00 application fee. The applicant must have a minimum 620 FICO score and generally meet FHA credit underwriting standards.. The applicant must be able to contribute a minimum of 25% – 30%f their gross income towards the principal, interest, taxes, and insurance payment, and the total debt to income ratio cannot exceed 43%. No prior losses with WCDA, current judgments, collections, or bankruptcy. The applicant must be able to make a down payment at closing of $2,500.00. Applicants must complete Homebuyer Education and One-On-One Counseling Classes. 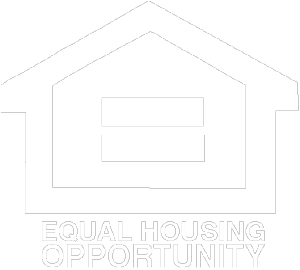 A single or two person household is eligible to apply for a house with one- or two-bedrooms. If there are no one- or two-bedroom units in WCDA’s inventory, some three-bedroom units may be made available. A three person household is eligible for a house with three bedrooms and a four person household is eligible for a house with four bedrooms, etc. Families shall be housed with no more than two persons per bedroom. $20 non-refundable application fee.Applications received without the $20 fee or the tax returns and pay stubs cannot be processed.Submit the above information to: WCDA-WRAP PO Box 634 Casper, WY 82602 Or you may hand deliver to 155 N. Beech St. Casper, WYApplication packets for the WRAP program are available at the WCDA office, via the internet, and by U.S. Postal Service, by request.The pre-application packet will contain an initial pre-application, the WRAP program description, applicant responsibilities if awarded a property, and a listing of properties (if available). All initial pre-applications will be reviewed by WCDA staff to determine if the applicant meets the basic eligibility requirements of the WRAP program. Applicants may be referred for credit counseling to assist them in repairing credit in order to be “mortgage ready”. The initial review will include verification of data relating to income, employment, financial/banking/investment information, rental history, and credit report. If an applicant is not eligible they will receive notification in writing that they do not qualify for the WRAP program and what, if anything, they could do to meet the eligibility requirements of the WRAP program. All applicants who meet the basic eligibility requirements will be contacted by telephone to discuss the program requirements and to make sure that the applicant understands the process and the requirements. In addition, supplemental information will be gathered in order to determine if the applicant meets the full underwriting criteria. Generally, FHA underwriting standards will be used. WCDA will originate all WRAP program loans.Listing PropertiesIn order to reach the widest audience of prospective homebuyers, WRAP properties will be listed with local realtors. However, for 10-days from the date the property is available on the MLS system, all offers will be held. At the end of the 10-day period, households with income at or below 50% of the AMI will be given priority. If there is more than one household who qualifies at or below 50% AMI, a drawing will be held, see below. If there is only one household who qualifies at or below 50% AMI, WCDA will work with them toward the purchase of the home. If there are no qualified households at or below 50% AMI, the same process will be followed for households who qualify that are at or below 80% AMI. All offers submitted during this 10-day period must be accompanied with the appropriate application documents or applicants must be pre-approved. After the 10-day holding period is over, offers will be reviewed every 24 hours. If more than one offer is presented the above process will be followed. If only one offer is received it may be accepted without conducting a drawing.Execution of the Property DrawingQualified applicants may be entered into a drawing on the properties for which they are eligible. Applicants may be eligible for more than one property; however, they will only be able to take possession of one property. The drawing will be a public drawing held in the community that the properties are located and eligible households along with members of the general public are encouraged to attend.Pre-purchase MeetingAfter a buyer has been selected for a property, a meeting will be scheduled to discuss what the applicant should expect and what they need to do in order to prepare for the closing. This will take place at least 2 weeks prior to closing on the property. This will give the applicants time to gauge their interest in a particular property, therefore, avoiding buyer’s remorse. 1. All closing documents will be presented to the buyer in draft form and explained in detail. 2. 2. The amount of the amortized and deferred loan will be discussed as well as any additional restrictions placed upon the property. The first mortgage will be calculated using the applicant’s income and at least 25% of their gross income must be contributed towards the mortgage payment. The balance of the cost of the property may be taken as a deferred mortgage up to 30% of the purchase price. If more than 30% of the purchase price needs to be deferred in order to meet the other program requirements the household does not qualify. Example – The Smith family (dad, mom, and 2 children) live in Cheyenne and together they earn $24,000 a year. The 50% AMI limit for a family of 4 in Laramie County is $37,250 so the household is determined to be income eligible for the WRAP program. The household must contribute a minimum of 25% of their gross monthly income towards the principal, interest, taxes and insurance payment (PITI) each month. The maximum debt to income ratio for housing cannot exceed 31% so it is possible that the required monthly contribution would be higher than 25%. In this example the minimum monthly contribution required is $500 ($24,000 x 25% / 12). It is estimated that approximately $150 per month is required for taxes and insurance so the household would have at least $350 per month to pay the principal and interest on a mortgage. If the total acquisition cost of the home was $150,000, 30 year term, 1% interest rate, the principal and interest payment would be $482.46. The family could not reasonably afford the PITI payment of $632.46 ($482.46 + $150) without assistance. Under the WRAP program, the mortgage on the property would include both an amortized loan amount (requiring a monthly payment) and a deferred loan amount (requiring repayment at the time of sale, transfer of title, or when the property ceases to be the primary residence of the family). In this example, it would be reasonable to structure the $150,000 loan as $112,500 amortized and $37,500 deferred. A $112,500 amortized loan for 30 years at a 1 % interest rate would require a monthly principal and interest payment of $361.84. When you add the taxes and insurance payment of $150 per month, the total payment for the household is estimated to be $511.84 (a monthly savings of approximately $120.62 and a PITI ratio of 25.6%). The amount of the mortgage will be based on the applicant’s income and their ability to qualify for a loan. No more than 30% of the purchase price will be deferred. The applicant must contribute $2,500.00 at closing towards down payment and closing costs.Applicants will be required to contribute at least 25% – 31% of their gross monthly income towards the first mortgage payment. Their total debt to income ratio cannot exceed 43%. Generally FHA credit underwriting standards will be used to underwrite the loan.All loans will have a 30 year term. The interest rate of the loan is fixed and based upon household income. The monthly payments collected on the loans (program income) will be returned to the appropriate Federal program account and recycled for future use by any and all eligible activities. All mortgages will be serviced by the WCDA.